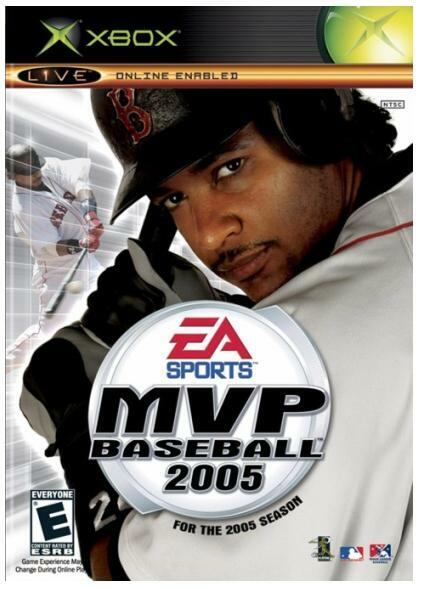 MVP Baseball 2005 was arguably the most deep, detailed and realistic baseball simulation on the market before the series was discontinued as a result of an MLB license exclusivity deal between Take Two Interactive and Major League Baseball. Consumers of popular sports video game franchises such as EA Sports’ Madden NFL series or Take Two Interactive’s Major League Baseball 2K series years may have taken notice of troubling trends involving a lack of market competition and what some argue to be a corresponding decrease in product quality within the past five years. EA’s MVP Baseball 2005 was arguably the most deep and realistic baseball simulation made to date as of the year of its release, but like Take Two’s NFL 2K Series, production of new installments of the franchise ceased the following year. The reason as to why production ceased for both sports video game series—and for all other third party NFL football and Major League Baseball simulation franchises—was not a result of a lack of financial support, but the result of a legal licensing loophole which was exploited by the publishers of each series in order to eliminate their competition with the stroke of a pen. In 2004, Electronic Arts reached an agreement with the National Football League which granted the publisher exclusive third-party rights to the NFL license; effectively eliminating Take Two’s NFL 2K series in doing so. In what many saw as a retaliatory move, Take Two Interactive struck up an agreement with Major League Baseball which granted them exclusive third party rights for the use of the MLB license for their baseball franchise, which effectively eliminated EA’s MVP series. While the Madden series remained relatively strong in terms of consistency of quality from one year’s product to the next despite its lack of competition, the same could not be said for MLB 2K series with the release of the notoriously flawed game, Major League Baseball 2K9. Although there remained competition for Major League Baseball 2K9 in the form of the far more refined product of MLB 09: The Show—an installment of a PlayStation 3 exclusive series which Sony Computer Entertainment America reserves the right to publish with the MLB license solely due to the fact that they are an exclusive first-party publisher for a single affiliated platform rather than a third-party publisher for multiple non-affiliated platforms—Xbox 360 owners and PC gamers had no alternative option in for a Major League Baseball simulation in 2009. While MLB 2K10 has received a vastly improved critical reception than the series installment of the previous year—and continues to improve with downloadable post-release patches from the game developer in order to correct technical flaws for the satisfaction of consumers—the lack of competition any quality alternative on the market made available to owners of platforms whose first-party company does not publish their own competing product is quite troubling, and it is even more troubling when the lack of competition comes about as a result of what would seem to the observer to be the abuse of licensing laws for the purpose of gaining a monopoly of the market share at the expense of consumers. I used to be suggested this blog via my cousin. I’m now not positive whether or not this publish is written by him as no one else understand such unique about my problem. You are amazing! Thanks! Please direct me how to find the Philip stein fruit watches. I am looking for the grey rubber band with the dragon fruit face. I don’t even know the way I stopped up here, however I thought this post was once great. I do not recognise who you might be however definitely you are going to a well-known blogger in case you aren’t already. Cheers! pre order ps4 bouses listed on this awesome website. Check it out and compare the preorder ps4 bonuses. Are there any other sites that compare preorder bonuses? how can i join? i am an artist. Hi. I think there’s some thing incorrect with your RSS feed. I hope you are able to fix it! Sony PlayStation 4 Supports Streaming Games Online? Sneak peek of the blowout sale http://t.co/MZt2Kcf5 will be having. :-) http://t.co/zwQ0PrbE Go there and thank me later. Brought to you by Writers Workshops © | Buzz About. All rights reserved.